Were you one of those kids who would spend hours upon hours in your own tree house, away from it all? Here's your chance to yet again find that inner child. 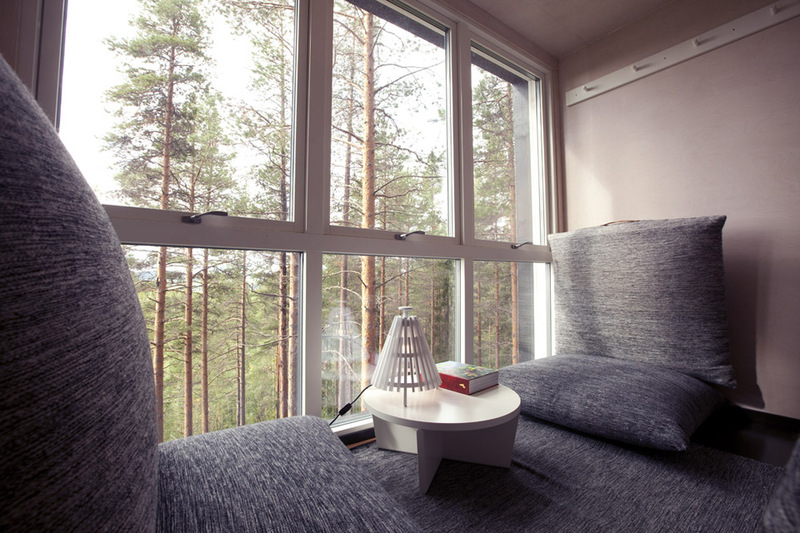 The idea behind Treehotel is to offer high-standard accommodation deep in the tall pine forrest of Harads, Sweden – a harmonious place where daily stress melts away, and guests can relax and renew their energy while surrounded by unspoiled nature. 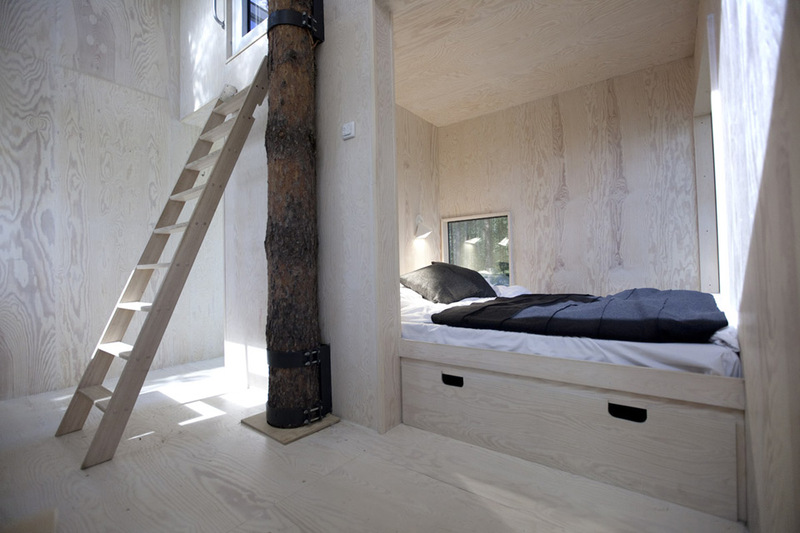 The concept was inspired by the film ”The Tree Lover” by Jonas Selberg Augustsén. It’s a philosophical story about the significance of trees for human beings, with the plot of three men from the city who want to go back to their roots by building a tree house together. 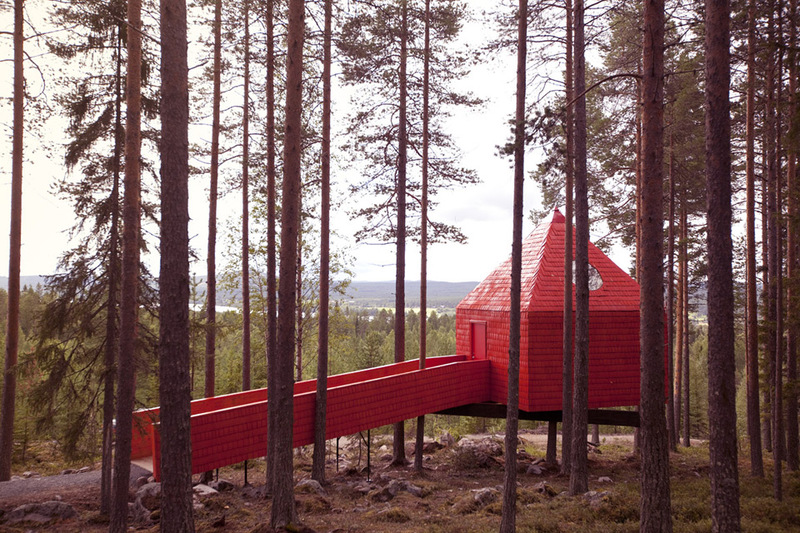 In collaboration with some of Scandinavia’s leading architects, Treehotel built seven completely different rooms suspended 4-6 metres above ground, accessible by ramp, bridge or electric stairs, all with spectacular views of the Lule River. The 7th Room by Snøhetta.